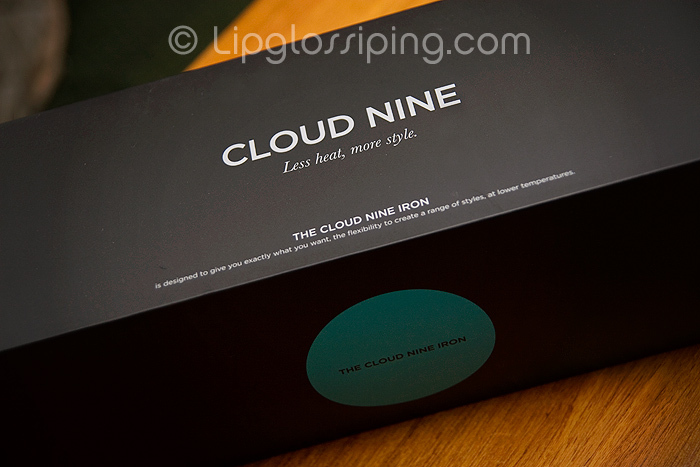 Cloud Nine got in touch to offer me a pair of their new straighteners for potential review and with a high maintenance chin length bob to tame every morning, I’m not ashamed to admit that I very nearly bit their hands off. 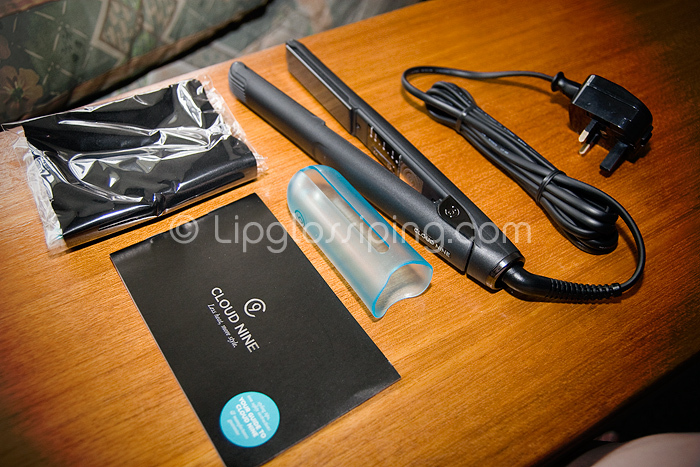 Now, I know that this is probably the 50th review you’ve read of these straighteners (no exaggeration), and I do apologise… so when I was putting them to the test, I tried to approach it from a slightly different angle. I’m no expert hair straightener and I’m sure many of you would fall into this category too. In all honesty, I’m far too busy worrying about how my makeup looks to care *too* much about my hair. Obviously, I’d rather not look like I’ve been dragged through a hedge backwards when I visit clients… but for me, it’s all about the eyeshadow. So with this time-pressed, hair straightening novice method of review I wanted to present to you an 8 minute hair straightening challenge. Why 8 minutes? Well, because that’s approximately how long I get before baby L. notices that I’m not right up there in her face singing songs and dancing like a loon for her entertainment. I also figure that I can never be arsed to spend much longer on my hair in the mornings anyway. Nicely presented packaging is always a good thing and the turquoise/black combination is very sophisticated. 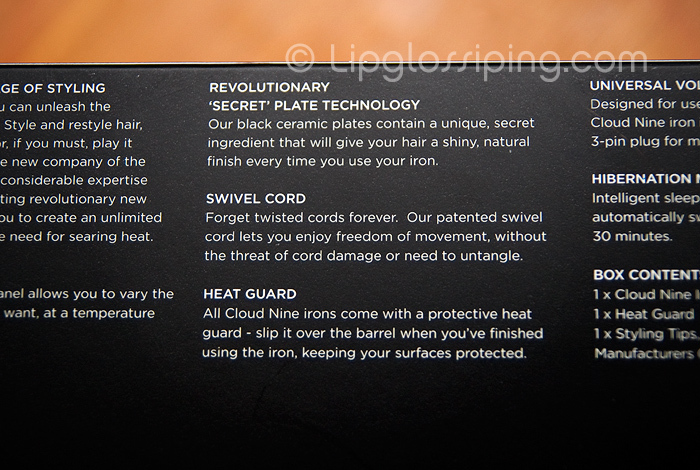 GHDs hmmmm, I’m sure it’s a selling point… but Cloud Nine, you’re advertising those competitors of yours every step of the way! I can’t read anything about you without someone, somewhere mentioning GHDs in the same breath. Fair enough, but don’t you do it on your packaging too! Oh… well I’ll just go buy a set of GHDs then… these sound like they should be as good as, but I’ll play it safe and go for the tried and tested option. Is that the best you can be? Come on! 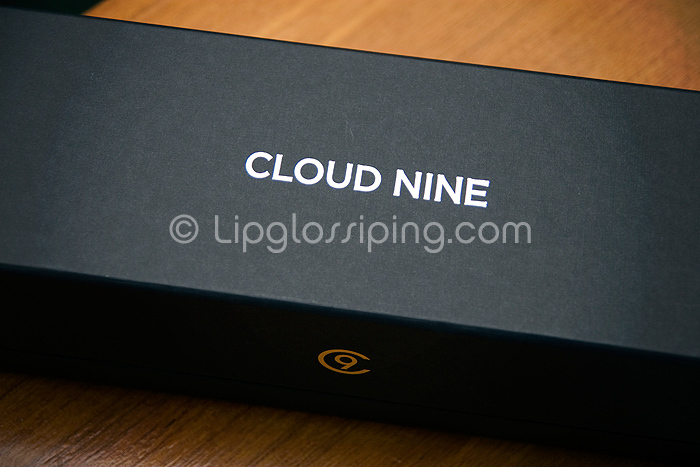 You’re Cloud Nine! Be a tiger, grrrr…. 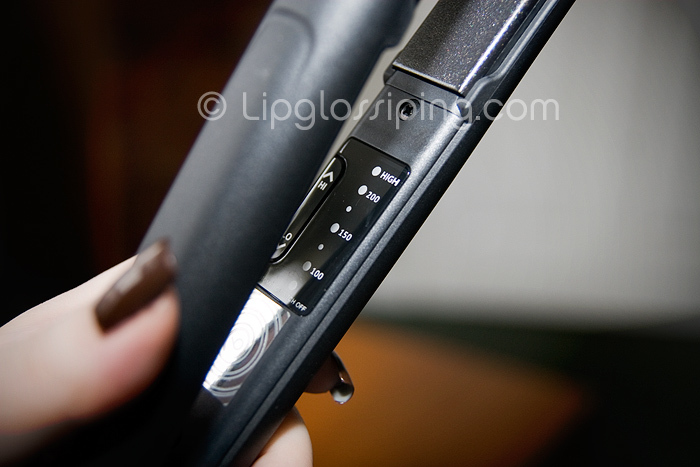 *and breathe* sorry… but as you might be able to tell, I’m bored of the GHD comparisons already. Swivel Cord (boring), Heat Guard (whatever) – Next! Slide off the cardboard sleeve and you get…. another box! Is that all they could come up with? What about peace among mankind? I would at least have added a few Dior shadows to the list (no, I’m still not over them). Variable heat settings – useful! I should at this point probably mention that build quality feels good. It’s all sturdy stuff despite being surprisingly lightweight. 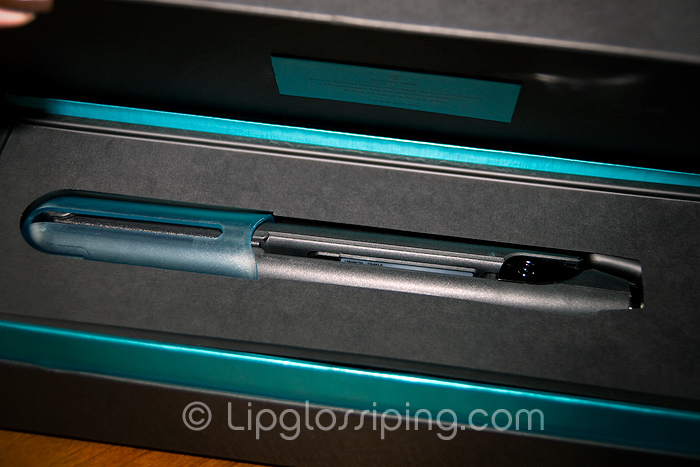 I also like how ’rounded’ the casing is… it makes for easier, smoother curling. 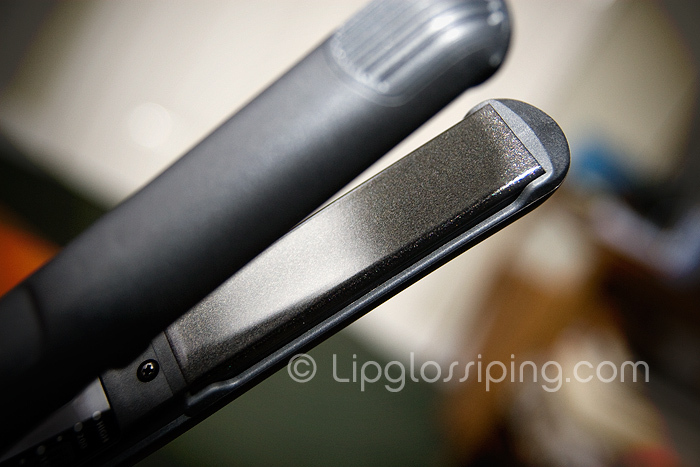 The plastic on the tips of the straighteners are grooved/ribbed which makes for an easy grip on the tips if curling with both hands on the barrel. Right, enough of that… let’s straighten! Now listen up to this bit… It’s a negative and up ’till now my review has been a glowing one. I thought that these dragged a bit. Not a huge amount, not like my Remington Wet2Straight that I wanted to throw through the nearest window for literally pulling strands of hair from my poor screaming barnet. However, I did feel a little bit of tugging especially when I reached the ends, they simply didn’t glide quite as easily as I would have hoped for £129 straighteners. Ho hum. Ta-Da! I like it… It’s not poker straight which I presume is ‘cos I’m using less heat… but that also means that it’s not completely flat and lacking in volume (which was the only end result I could get from my 230c ones). It should also mean that my hair stays healthier despite frequent use. I normally wash and blow dry my hair (whilst curling under with a round brush) and only after that do I use my straighteners, so to be fair on the Cloud Nines, they were really up against it to be used straight on my dry bed-head hair. They performed admirably, I would totally let clients see me like this…. and all in 8 minutes (oh, ok it was closer to 9). Not bad, not bad at all. 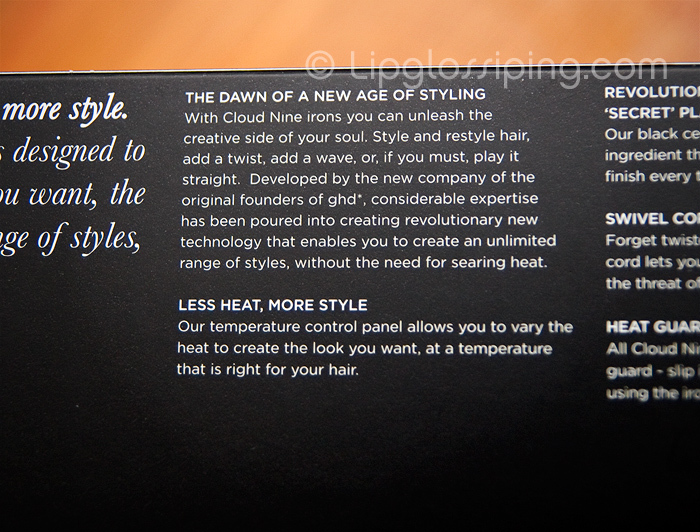 Mostly, I’m impressed with the flexibility of styles I can get from these straighteners depending on the temperature used. I also found them pretty good for curling and I was pleased with the amount of shine they left on my hair. Now, if only they could perfect ‘the glide’… hopefully this will be their main focus when designing and building the C9’s mkII. As for me, I’ll be consigning my old ones to a backup drawer somewhere. 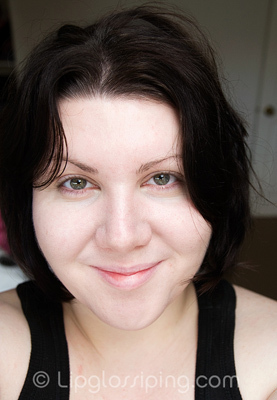 Hello super quick, unfrazzled natural looking straightening! Ok, shoot me but I actually prefer before your hair BEFORE!! I love it all wavy!! Rearrange my words for me – you get the idea! @Vexinthecity, haha – just my hair on it’s own looks good… pull that shot back a bit and it’s explosion in a mattress factory with extra flicks, here there and everywhere! I would like to learn to tame it but leave it tousled looking. At the moment, the only way I can do it whilst making it look like I’m aiming for that style is to curl it with a pair of straighteners, which is kinda annoying when I wake up halfway there anyway. This is a really great review, but I have to agree with Yinka, it looks so gorgeous when its wavy, you should have it like that more often These straighteners are basically GHD’s with a heat setting right? They look nice though! I love your hair before too. The before hair is lovely you fool, leave it as it is! I never ever ever get those kinda waves, just a bunch of curls. Embrace the waves! Your hair looks lovely straight, but those waves are just gorgeous. I would trade hair with you in a red hot second! Back away from the straighteners! I’ve got dead boring straight hair, I’d kill to have those waves! Your hair is gorgeous, I like the wavy natural look more than it straightened! Did you know that ghd mark IV only get up to 190 degrees, but it is a constant heat not an on off thermostat, so no cold spots. if they work so well at lower temps why do they go 20 degrees higher than the ghd mk4 ? Just goes to show how opinions difer – I would sell my firstborn to get my wavyish fuzzyish hair to look as beautifully defined and wavy as yours looks in your “before” photo!!! Too much hair around these days with all the personality straightened out of it…. Yeah I agree with all the comments on here ! 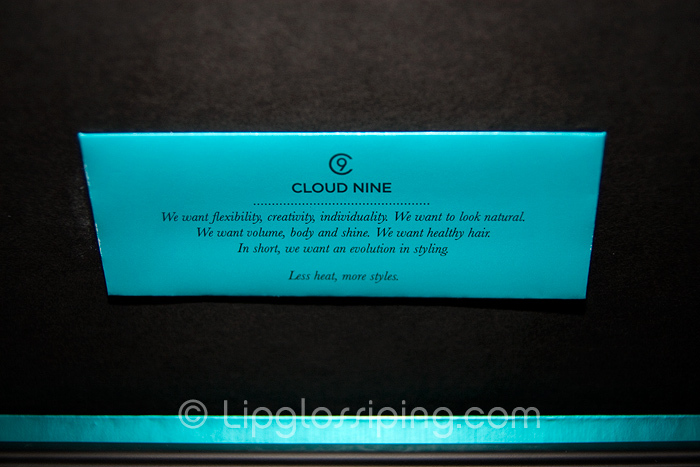 The big plus point with the Cloud Nine’s is the ability to change the temperature on them. As we all know the hotter your irons are, the more damage they are doing to your hair. I would not be without my cloud 9’s now. They are durable, easy to use and obviously the best feature is the variable temperature. This stops you having to literally burn your hair every time you straighten it. I.ve just returned these to Amazon as experienced the same tugging and pulling. Didn’t expect this from such an expensive iron. It has taken me a long time to bite the bullet with an expensive pair of irons but do you now I think I will stick with my Revlon which also have variable head. We are all GHD and associated product targeted. I also liked your hair wavier sorry! I must add i love my cloud 9, but the guarantee should be extended on changed items, i had to return my iron 3 times, due to factory fualts. Very detailed review and great pics. You’re totally right in that they do seem obsessed with ghd and need to get on and find their own market. 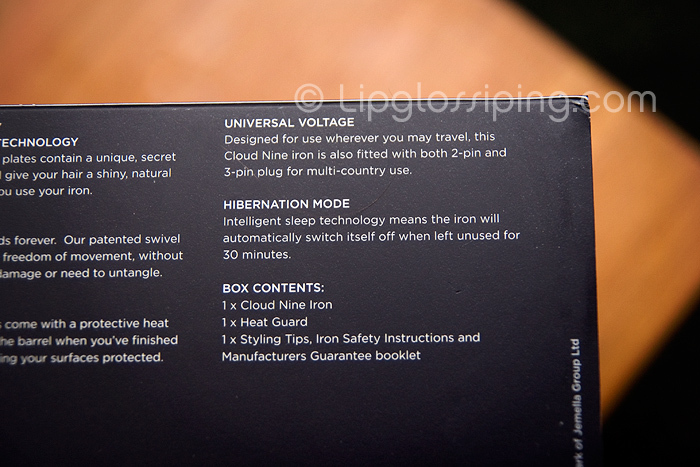 I worked in a salon when the cloud nines were first launched and the rep that came in probably spent 25 minutes discussing how evil ghd were and 5 minutes discussing the cloud nines!